As a homeowner, you depend on your water heater to provide you with a reliable	source of hot water. When your equipment stops working, it can be very	inconvenient and stressful. You can rely on our	Miami-Dade and Broward county plumbers for quality repair and replacement services for your water heater, regardless	of what type you have. 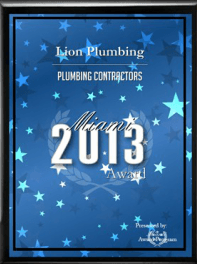 Our company, Lion Plumbing, Inc., is a family-owned	and -operated and has been open for over a decade. We also have over three	decades of industry experience! We understand that you rely on your water heater for your daily activities. You can call a plumber from our team 24/7 for repairs when your system	stops working.If you would like to schedule an appointment or find out	more about our services, please	contact us at (305) 597-4555.